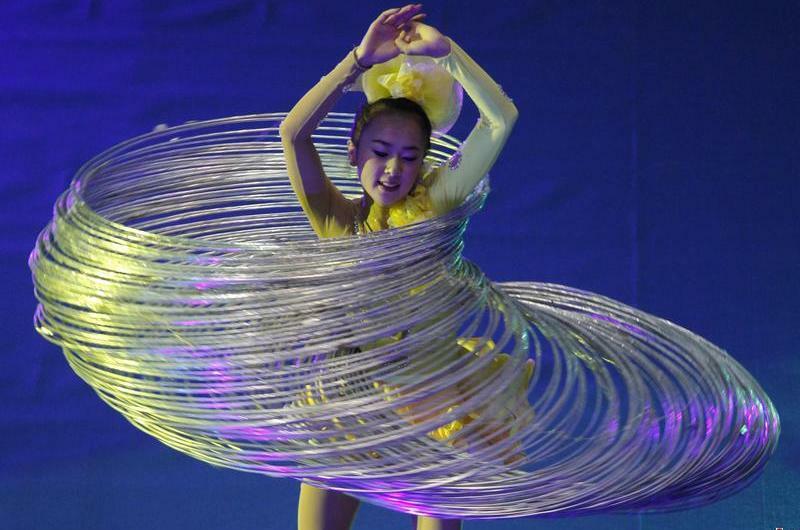 Stuntwoman Jin Linlin (23) from China, spun a total of 305 hula hoops at once for 22 seconds, at a shopping mall. She broke her own record of dancing with 300 hula hoops which was done in the year 2008. She has been playing hoops for 12 years. Comments for MOST HULA HOOPS ROTATED SIMULTANEOUSLY are now closed.